In the afternoon of October, 3 rd , the delegation of Ministry of Cuban Foreign Trade and Investment (MINCEX) paid a working visit to Thu Cuc International General Hospital. 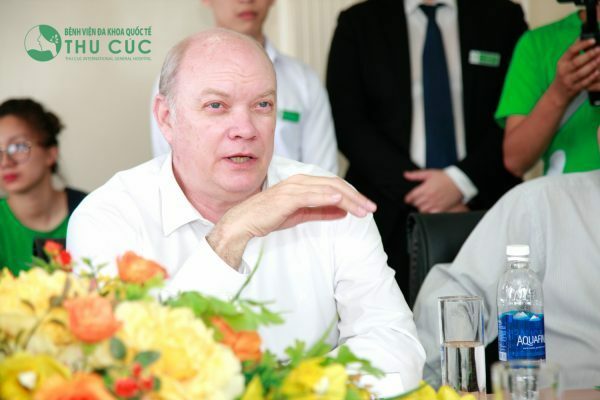 This activity is within the program of Mr. Rodrigo Malmierca Diaz – Minister of MINCEX, co-chairman of the Vietnam- Cuba Inter-governmental Committee at the 35 th Session of the Vietnam – Cuba Intergovernmental Committee (UBLCP), held in Hanoi and Ho Chi Minh City from the 1 st to 5 th of October 2017. While attending the 35 th Session of the Vietnam – Cuba Inter- governmental Committee, Mr. Rodrigo Malmierca Diaz wished to visit a certain enterprise of Vietnam to further promote the bilateral economic, trade and investment relations between Vietnam and Cuba in the coming period. 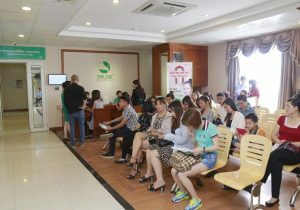 Thu Cuc International General Hospital was honored to welcome the delegation as chosen by Vietnam Ministry of Construction. The Delegation of Mincex on the working visit to Thu Cuc International General Hospital in the afternoon of October, 3 rd . The working visit took place in a solemn, cozy atmosphere. 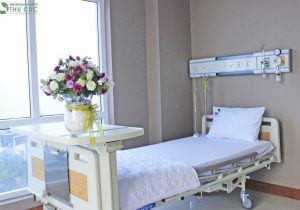 The two sides also exchanged and shared information on the cooperation strategy in health care between Thu Cuc International Hospital and Cuba in the near future. At the welcoming ceremony, on behalf of the medical staff and Cuban doctors working at the hospital Mrs. Nguyen Thu Cuc – Chairwoman of Thu Cuc International General Hospital, expressed the great thanks to Mr. Rodrigo Malmierca Diaz and other members of the delegation for their visit to the hospital. Cuba and Vietnam have been in a close relationship with each other for over the past 57 years despite the geographic distance. And thanks to this friendly relationship, we have been supported a lot by the Cuban Government. 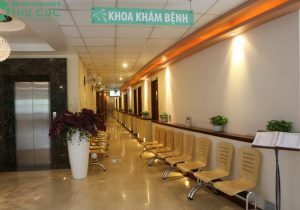 The Cuban medical system is now well recognized worldwide, Cuba has supported Vietnam so much with the training of highly skilled medical professionals. We deeply respect and appreciate Cuba’s health sector in general and Cuban doctors’ expertise in particular. 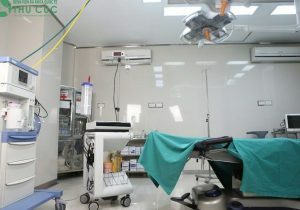 Recently, Thu Cuc Hospital has welcomed nearly 20 Cuban doctors to the hospital for working. All of these doctors have very good expertise, always expressing the sincere attitude, their sense of responsibility and dedication which really make us touched and highly appreciate. 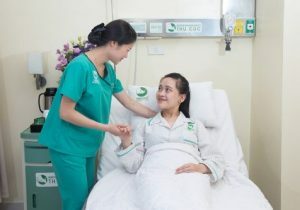 The development strategy of Thu Cuc Hospital is to improve the service quality for reaching international level. 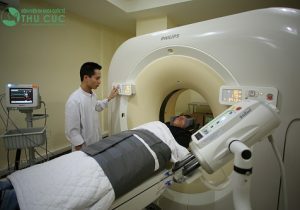 We have the plan to develop a chain of Thu Cuc hospitals in many provinces and cities nationwide. Therefore, international medical expertise is required. We feel extremely fortunate to have the Cuban Government, the Cuban Ministry of Health who facilitate good Cuban doctors come to work for Thu Cuc Hospital. 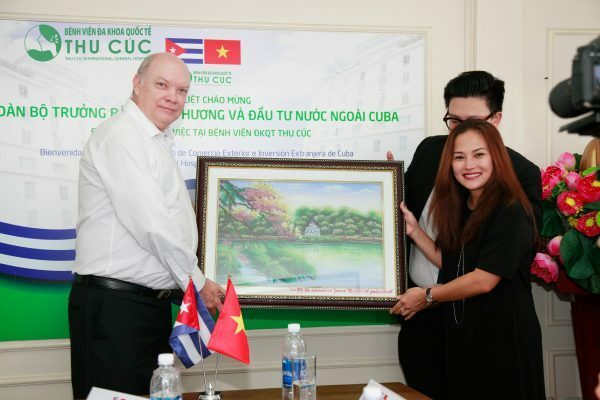 Also, we want to express our sincere gratitude to Cuban Government, Cuban Ministry of Health, Cuban Ministry of Foreign Affairs and Investment, Cuban Embassy, the Minister and the Ambassador who have given us great support during the past time.”, Ms. Nguyen Thu Cuc stated. 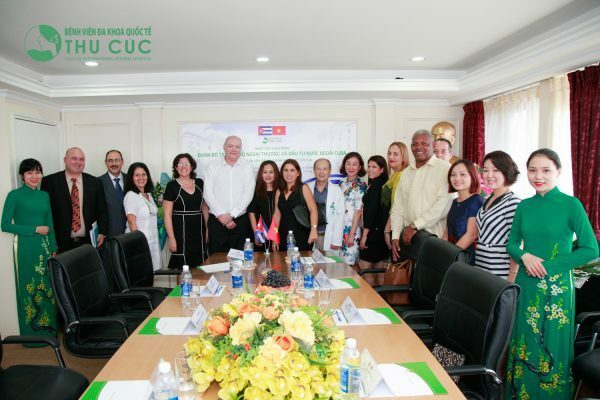 Under the agreement signed in March (3/2017) between Cuban Ministry of Health and Thu Cuc International Hospital, on September, 4 th the first Cuban doctors came to work for Thu Cuc Hospital. 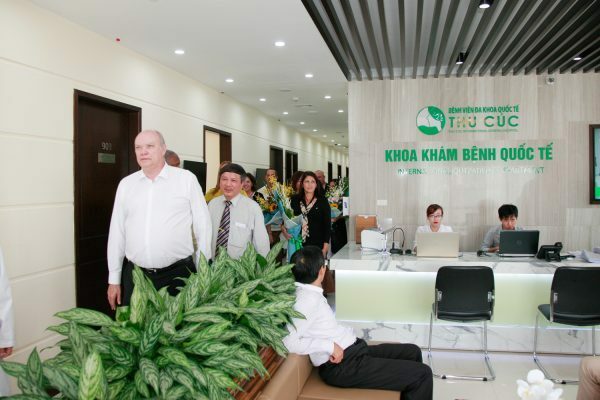 This is an important milestone in the effort to internationalize healthcare services, bringing the quality of healthcare from Cuba – a country recognized by the World Health Organization (WHO) as advanced medicine and the best health care systems in the world to the Vietnamese people.